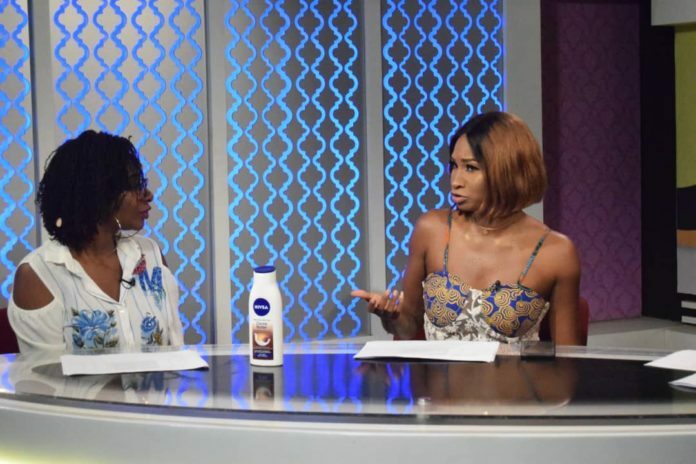 Actress Cecilia Anno-Barnieh, has challenged the notion held by many Ghanaians that the term ‘slay queen’ connotes a ‘wannabe’ lady who lives beyond her means to keep up appearance. “A slay queen is actually a boss chick, a slay queen is a confident woman, a slay queen is somebody who carries herself well and is able to command and demand attention when she wants,” she said. Cecilia, who believes that the concept of women empowerment has been distorted to mean all ‘over the place women’ sharply criticised KOD for his comments. “I have actually been on John Dumelo’s wife’s Instagram page and she is at every party; and there are women that could be at every party but they are not necessarily popular or not known, so there is a difference,” the beautiful actress argued. “As I said, just congratulate the man and move on, you could have just done that because what it (KOD’s post) did was it brought a negative vibe unto the whole thing,” she added. Cecilia plays the character of Farida Gibson, in TV3’s series, Sadia. Her role depicts how an only child educated abroad, returns home to run her father’s business. She stars alongside Akumaa Mama Zimbi, Harold Amenya, Maame Serwaa, and others.